The Chanel brand has always been associated with classic, timeless elegance. 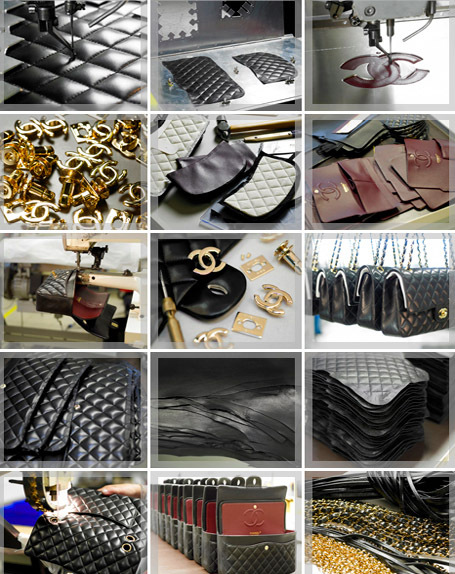 To this day, a Chanel handbag remains one of the most recognized and respected accessories in the world. Mademoiselle Chanel designed her accessories to be both practical and sensible, and to her accessories signified the true emblem of luxury and elegance. In the 1920’s, Coco Chanel became tired of having to carry her handbags in her arms and decided to update her handbag, for the modern woman. The resulting design was called 2.55 after the date of creation, February 1955. 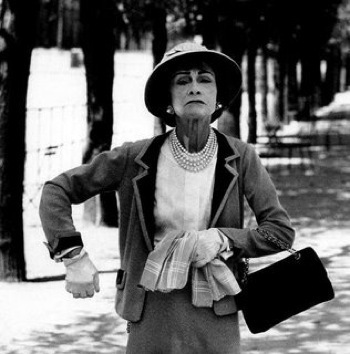 From the very beginning, Coco Chanel strove for functionality. For this reason, the bag features a double flap with a zip-fastened pocket intended as a secret place for storing a love letter. On the inside of the bag there are three bellow pockets, meant to store a lady’s necessities like lipstick and perfume. The bag has a quilted diamond or herringbone pattern on the exterior. Using a running stitch, this gives the bag shape and volume. The pattern is believed to have been inspired by several sources: by jockeys’ riding coats, the stained-glass windows of the abbey at Aubazine, as well as by the cushions in Chanel’s Paris apartment. The original 2.55 is lined in a burgundy color which represents the color of the uniform she wore growing up in an orphanage. The famous double C emblem, (“Coco Chanel”) is stitched on the inside flap like a coat of arms. The bag originally came with a front lock called “the Mademoiselle Lock” (in reference to Coco Chanel never marrying). Since the 1980s, versions can also be supplied with a lock in the shape of the double C logo. Both the iconic rectangular clasp that is gilted with gold and the famous leather and chain shoulder strap had never been seen on a handbag before Coco Chanel added them. Since it’s introduction, there have been several variations of the original design including different colors, leather/fabric combinations, metal and interwoven leather straps and the lock, mademoiselle vs. interlocking CC. Chanel released an exact copy of the original 2.55 in February 2005 in commemoration of the 50th anniversary of the creation of the original. Though the name “Reissue 2.55” should apply only to those commemorative handbags it is now commonly used now as a name for all the handbags resembling the original 2.55. A 2012 launch I was extremely excited for was Chanel’s new fragrance Coco Noir. The scent is the third in the Coco franchise, joining 1984’s Coco and 2001’s Coco Mademoiselle. As a loyal servant to Coco Mademoiselle, I had to test it’s counterpart. Striking top notes of Grapefruit and Calabrian Bergamot accentuate the floral accord with Rose and Jasmine, while Indonesian Patchouli, Sandalwood and Bourbon Vanilla notes add warmth to the seductive scent. The Coco fragrances by Chanel are very personal to me. My mother has worn Chanel Coco ever since I can remember which is why I believe I am so drawn to it’s younger sibling Coco Mademoiselle. As for the newest family member, Coco Noir is an exquisite fragrance that reeks of sophistication and luxury. Saved for a very special occasion, this is no versatile, everyday perfume. One day I will graduate to Coco Noir’s level of sophistication, but as of yet I feel I am still too young. This summer change up your lacquer collection with unexpected vibrant hues. 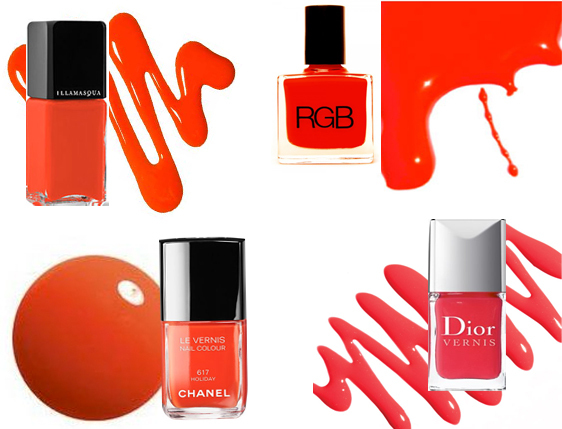 Accessorize your fingers and toes with zesty shades of orange. This attention-getting hue comes in many energetic forms; bright coral, firey red, neon, tangerine – a hint of orange is a hot shade for summer. Summer is synonymous with vibrant color and tanned skin. Express your personal style with loud, fun nail shades. 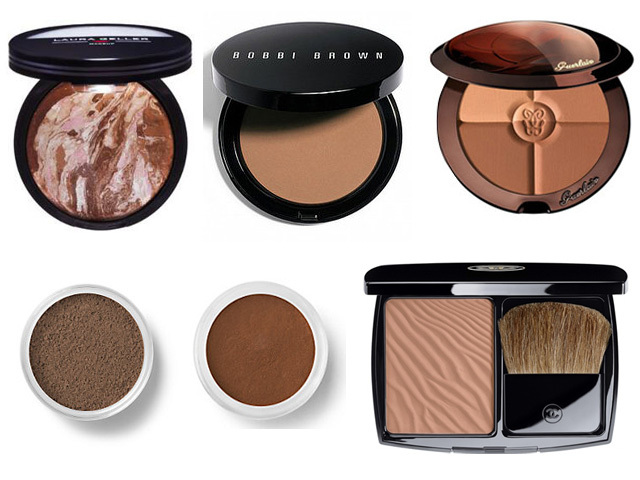 Orange will work on every skin tone and looks incredible on bronzed, sun-kissed skin. These four zesty hues will set tanned skin on fire. Red nail polish is a constant around the holidays. This bold color is festive, classic and timeless. However, not all reds are created equal. To find a red hue that complements your skintone follow these simple rules. ✳ For dark or golden skintones: bright, true reds look best. ✳ For pink undertones: lighter, orange-reds – will make skin look less ruddy. ✳ For pale skintones: the contrast of a blue-red is striking. Sparkle this holiday season with a little glitter. Application of glitter can go terribly wrong… fast. It is messy and can look too theatrical if not careful. To make glitter appear chic and sophisticated, use only a small amount in a concentrated area. Start with product. The Illusion D’Ombre Eyeshadows by Chanel are by far my favorite. They have intense pigmentation and provide a classic shimmering effect with one easy-to-use swipe. They can be used with fingers or a very dense brush for perfect application. If actual glitter is desired, loose pigments/glitter are best. Make Up Forever Glitters are soft, concentrated and finely-milled for super sparkle. ➺ Using a small synthetic brush, dip into the glitter. Tap off excess. ➺ Press the glitter onto the lid in a dabbing motion. Do not sweep. ✴ If this technique is still too messy, on the back of hand or artist’s palette, mix cream eyeshadow and glitter together and apply to the lid. With glitter application, fallout is expected. Make sure to do eye makeup first and face makeup second. Dab the fallout with scotch tape to clean any loose particles. 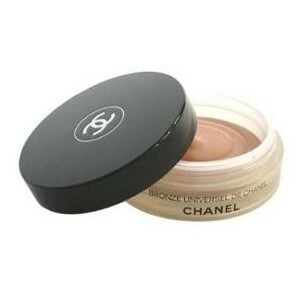 Soleil Tan De Chanel is a cream bronzing-base used to contour the skin and prime powder bronzers. However, this velvety cream can also be used alone to create a sun-kissed appearance. The color – perfection – not too muddy/not orange. The texture – amazing – cream/gel-like consistency, extremely decadent on the skin. The application – infallible – simply brush product in a “E3” motion. Starting at the temples swipe an ‘E’ shape on the side of face and ‘3’ shape on the other. The packaging – abundant – wide, heavy jar loaded with product. Not to mention, a Chanel logo looks dashing on any vanity.